What are the consequences of overstaying in Schengen Area? Getting a Schengen Visa is never easy. There are a lot of documents you will need to collect and requirements you must meet. There is the interview and then the wait for visa processing. However, once you get the visa, you feel rewarded and convinced everything was worth it. To many, the 90 days period per 6 months seems like enough time to spend in the Schengen Zone. Others get granted with visas that have a shorter duration of stay, like five days or two weeks etc. Still, once the end of the visa validity approaches, many of the Schengen visa holders are tempted to stay for longer, time after time asking themselves: What happens if I overstay my Schengen Visa? Finally, yet importantly, it does not matter if you have entered Schengen territory on a Schengen Visa, or if you are the national of a country, to which a visa waiver has been applied. You are not allowed to overstay the 90 days amount of permitted stay per 180 days, even if you belong to one of the latter. 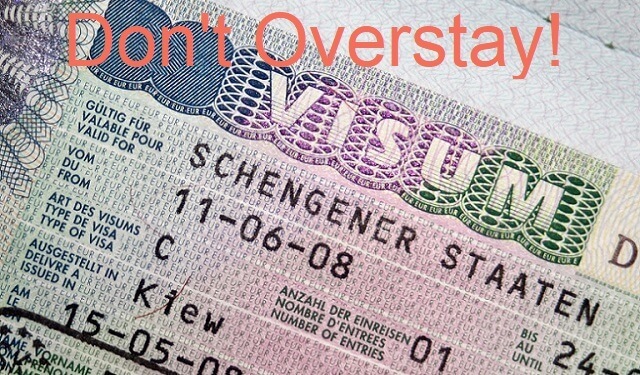 It does not also matter if you are overstaying a Schengen tourist visa or you are overstaying a student visa. There is a visa overstaying penalty for each, and if you do such thing, you will get yours. Despite that there is not a common policy for all Schengen Member States on the overstaying penalties, each of the states applies different types of penalties. Therefore, the consequences of overstaying in Schengen territory, whether your visa or the permitted 90 days for nationals of the countries under the visa-waiver program, depend a lot on the number of days you have overstayed, and the country you get caught in. Germany is known to have the strictest immigration laws in the EU in this direction; while Greece is known for applying very high fines to those caught overstaying. In general, all of the member states apply one of the following types of penalties for overstaying a Schengen visa or a permitted stay. When you get caught staying illegally in Europe, you will totally be deported to you home country. The deportation procedures depend on your case and the country where you are caught. You may be deported immediately, within just a few hours or after a few days. On the other hand, if you get caught engaging in paid activity while overstaying your visa, or engaging in illegal activities, you will most possibly be taken into custody where you will wait for your trial. If you are found guilty then you will be held in prison or fined with a high amount of money. Upon completing the punishment, you will then be deported to you home country and banned from entering the Schengen for a specific amount of time. Deportation is always followed by another consequence. Usually you will know about it before being deported, since you will receive the decision on you case. If you have just overstayed a few days, and you are lucky to be caught in one of the countries that go easy on overstayers, you may leave without another penalty. This is the most often penalty for overstaying a visa. Depending on the member state, the fees are applied differently. However, if you are caught after you have illegally remained in the Schengen for a longer time, aside of a fine being applied to you, you will also be banned from entering the Schengen Area for an appointed period of time, or even forever. Banning people from entering the Schengen is usually applied to those overstaying and working or engaging in other illegal activities. A person can be banned for a period of three years and more from entering any of the member states of the Schengen area. There are also cases when people do not bear any consequence for overstaying their visa. If you are a child, or a person that cannot travel without a caretaker because of an illness or disability, then most possibly you will not face any consequences for overstaying. On the other hand, if you face an accident or unforeseen illness, or you are in a situation that does not permit you to travel to your home country, then you are strongly advised to apply for a Schengen visa extension instead of overstaying. Many people unintentionally overstay their visa because they have it unclear how long they are permitted to remain in the Schengen Zone, or they have the wrong information. That is why you should always ensure on the period of time you are permitted to remain in the member states, in order to avoid overstaying it unintentionally. If you think that you will not be charged with any penalty, just because you stayed after your visa expired without knowing, you are wrong. Many people misunderstand this rule that in fact is quite easy. If you are in Europe without a visa since you are from a visa-exempt country, or you entered on a multiple-entry visa for a period longer than six months, this rule will apply to you. You should just count the last 180 days, and check if you have been in Europe for longer than 90 days within those six months. Remember that the first day you enter in the Schengen territory is counted as day 1 even if it is just before midnight, while the date you leave is counted as the last day even if you left before sunrise. Many people overstay because they think that Visa Validity and Duration of Stay are the same and fail to spot the difference. 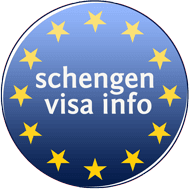 While visa validity is the date from which to which the visa holder is permitted to enter the Schengen Area, the duration of stay is the number of days that he or she can spend within that period. The details on the visa validity and the duration of stay as well, are given in the visa sticker affixed in the passport of the traveler that has been permitted to enter the Schengen Zone.